No wine snobs here! 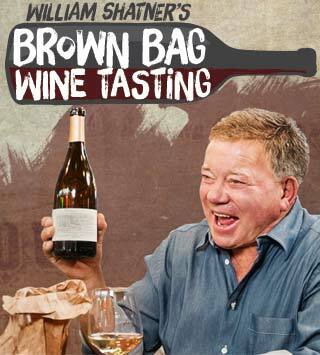 Join William Shatner as he tastes wine with friends to get their not-so-expert takes (hints of Butterfinger, anyone?) on pinots, chards, cabs -- and life. Cheers! 'Veep' Star Matt Walsh Joins William Shatner For Wine And ... Hypnosis? Misha Collins is on Brown Bag Wine Tasting! Does William Shatner Believe in UFOs? Can William Shatner Help Save the World from Exploding Turkeys?